YABATECH admission list for ND full-time candidates out. This is the Yaba College of Technology (YABATECH) ND admission list for 2018/2019 academic session. In other words, YABATECH has released the full-time National Diploma admission list for the 2018/2019 academic session. Since the admission list is out, it is therefore now available for checking on the school portal. The released YabaTech admission list contains the names of candidates offered admission into National Diploma (ND) full-time programmes for 2018/2019 academic session. At press time, the admission list is now available on Yaba College of Technology website. You can however also check on JAMB admission status checking portal. Enter your JAMB registration number in the provided box. Click on Submit to check your YABATECH admission status. Admitted? Head over to JAMB CAPS portal to accept or reject admission offer. Not admitted yet? Please check back on the CAPS portal later to confirm your status. Find and click the “Check Admission Status” tab. Select your Exam year and Enter your registration number in the applicable field. Finally, click on “Check Admission Status” to access your YABATECH admission status. Finally, we congratulate all candidates whose names appear on the 2018/2019 ND full-time admission list of YABATECH. Such applicants have been offered provisional admission for the session. 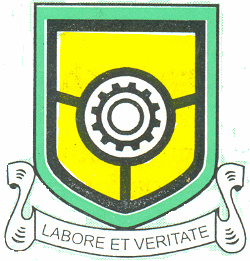 YABATECH SIWES Students Resumption Date Announced!